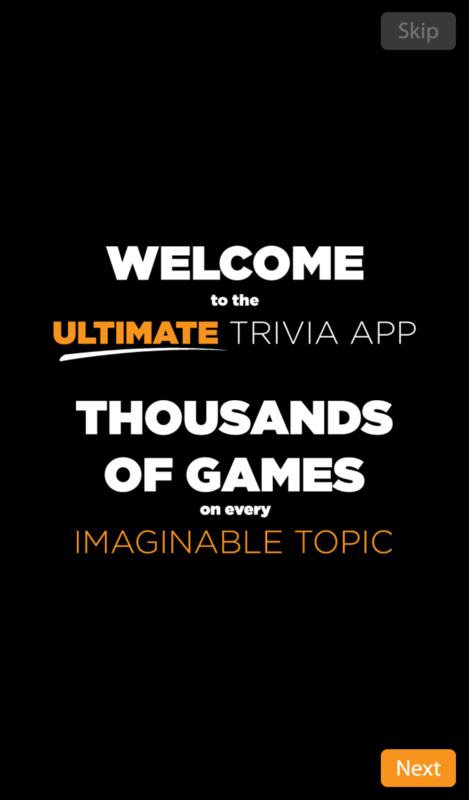 If you rule the local pub on trivia night, or just dream of the day you will, Sporcle is the perfect app for you. 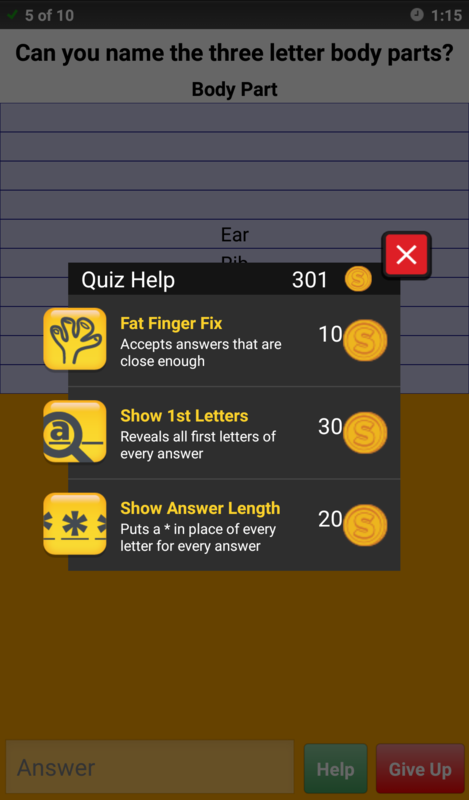 This popular quiz game for Android has got all the bells and whistles. More importantly, it's got great quizzes! "Oh sure," you're thinking. "Another app with 10 or 15 lame quizzes." Au contraire! 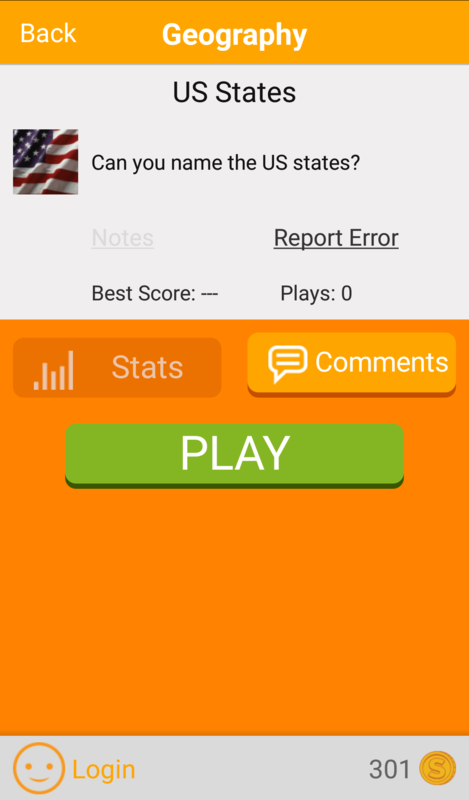 Sporcle for Android has thousands of inventive and challenging trivia games. Running the gamut from Entertainment to Religion, from Sports to Literature, there's a quiz here for anyone and everyone. 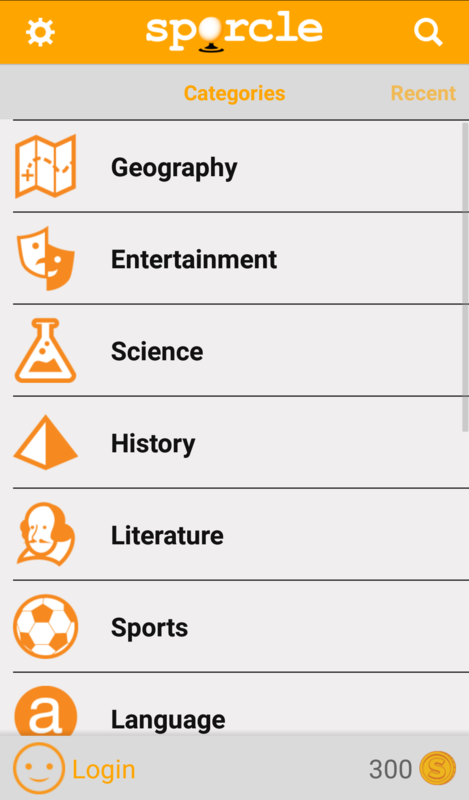 You can browse through 15 different categories or simply select a random quiz and start playing. Here's just a small sampling of the types of trivia tests you'll find on Sporcle: "50 Largest U.S. Cities." "Name that Sitcom." "Ancient Wonders." "Baby Names from Shakespeare." (?) "Guess Your NBA Team." "SNL Cast Blitz." "Famous Biologists." (??) And on and on. These aren't your grandpa's multiple-choice quizzes, either--each one has a written answer that you must provide. As soon as you type the right answer, BING, it pops into the right spot. When you type in a wrong answer however, the app just sits and stares at you, quietly judging you. Play for time or play for fun, the decision is yours. - How Do You Measure Up? Sporcle scores your performance on every quiz and stores the information right in the app, so you can track which ones you've taken and how you did. You can also get more in-depth statistics on each game, seeing how your performance stacks up against others who have taken that quiz. And don't worry; each quiz reveals the correct answers once you've completed it, so you don't have to wonder. You can also take the same quiz again if you like. One of the best things about Sporcle is the "connectivity" it provides. You can see comments from other players about each quiz and compare your score against theirs right on your phone--but that's just the beginning. You can then go online, create an account on Sporcle.com, and have even more fun. On the site you can comment on quizzes you've taken, rate them, view all kinds of statistics, invite and connect with your friends, post your results to Facebook and Twitter, and more. You can even create your own quiz. Even if you just stick to the app, there's more than enough to keep you busy and entertained for a long while. It features thousands of quizzes pre-loaded in every category--and you don't have to have network access to play them. Just download the Android app and start exercising your brain. With Sporcle, there's always a new challenge waiting for you. This release gives you the ability to log in with Google as well as your Sporcle handle. We've also improved the comment section, made various UI updates and fixed some bugs to make the app that much better.